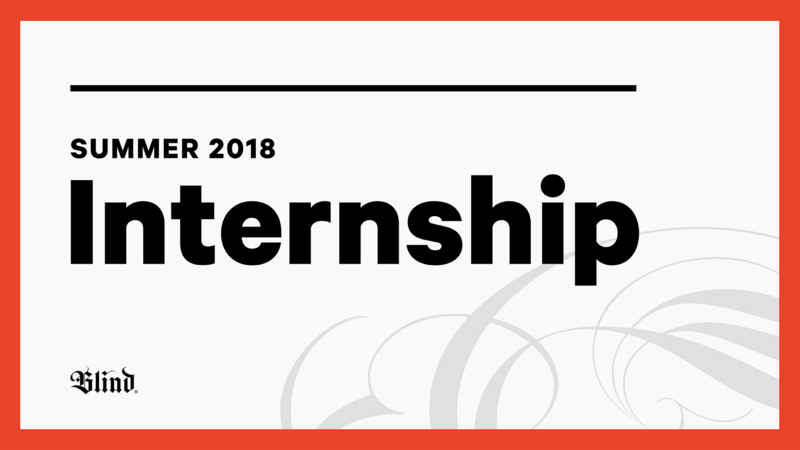 Want to intern with us? 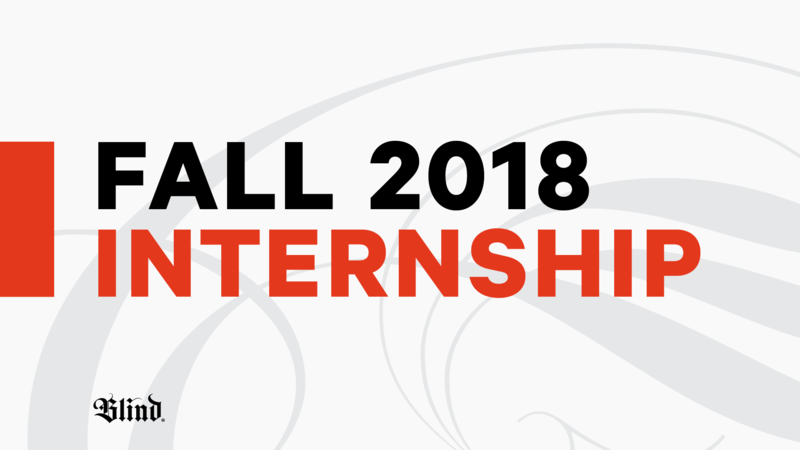 We’re looking for graphic designers, video editors, UX/UI designers, and developers to join us in the Fall. No formal education required—just good work and a good attitude. 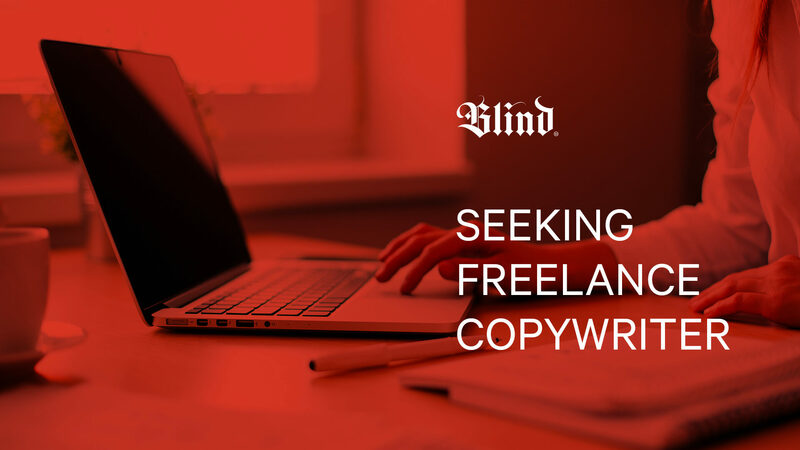 Blind is looking for a freelance copywriter with experience writing for the web. Bonus points if you have UX experience. Ideally you’d work onsite with our team in Santa Monica, but we’re open to remote positions.